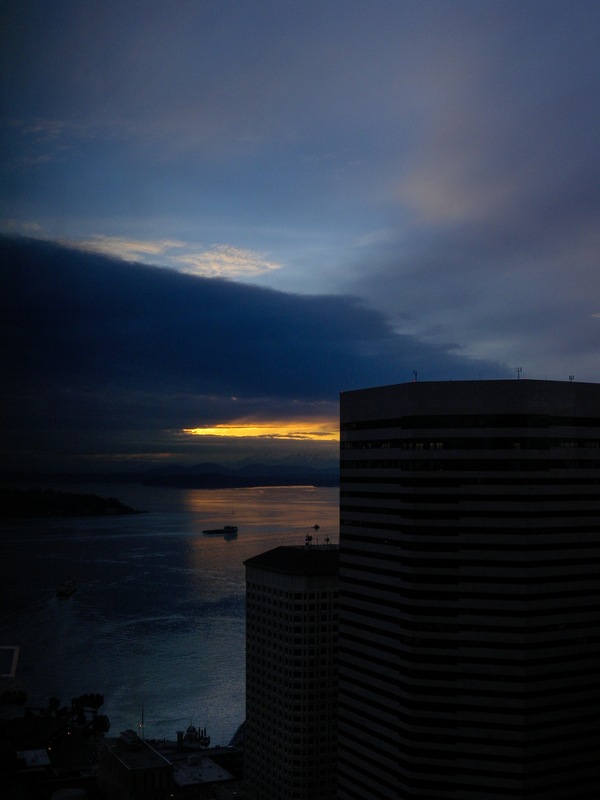 Here, is the view from the 40th floor of the Columbia Tower; the middle of the tallest building in downtown Seattle. There is a Starbucks here, open to the public during business hours. 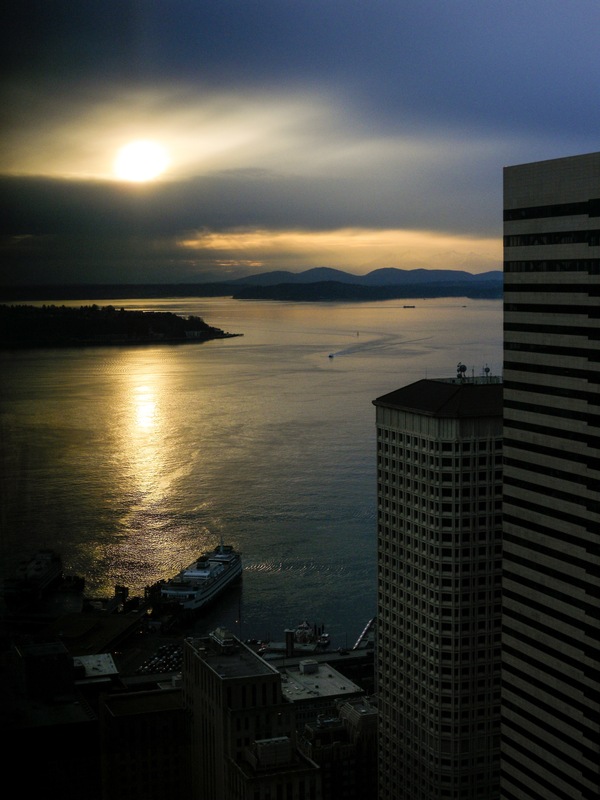 You can get a better view on the 76th floor (and very top) for a small price. This was good enough, and relaxing for me. I was here for some hours working on a special project. The sunset was a great distraction. 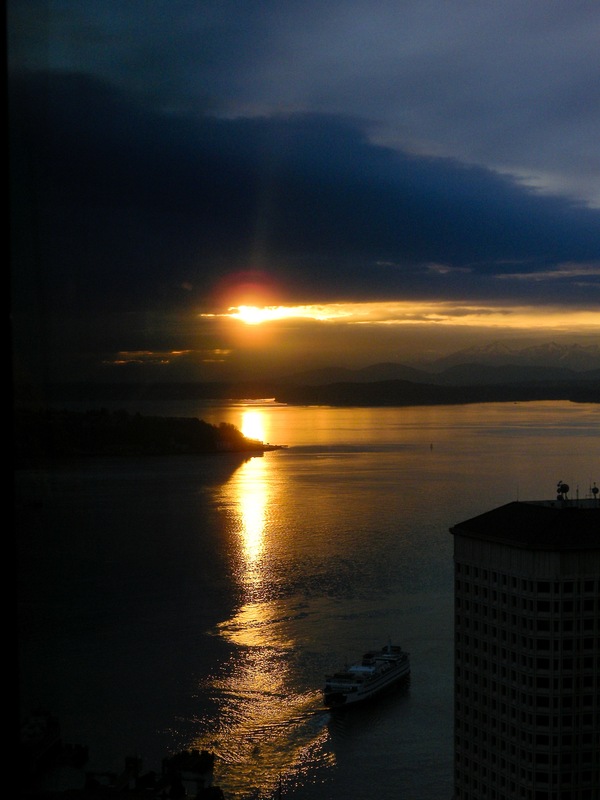 Posted on February 27, 2014 by Orion T.	This entry was posted in Photography, Travel and tagged columbia tower, downtown, Puget Sound, Seattle, sunsets, vistas. Bookmark the permalink.